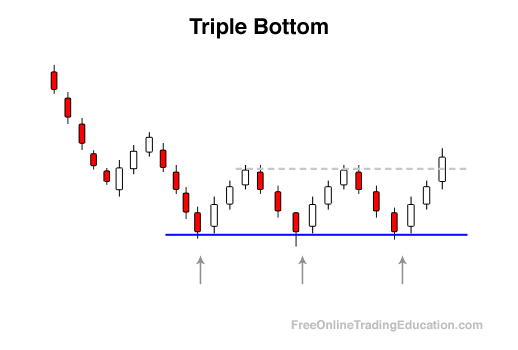 A Triple Bottom is a typically longer term pattern where price action, within the context of a downtrend, has the most recent swing/pivot low being equal or nearly equal in price to the previous two swing/pivot lows that are also equal or nearly equal in price. The Triple Bottom pattern can be formed when the sentiment that was formerly producing the downtrend is now possibly shifting and selling pressure is not strong enough to produce a lower swing/pivot low to keep the downtrend in tact. 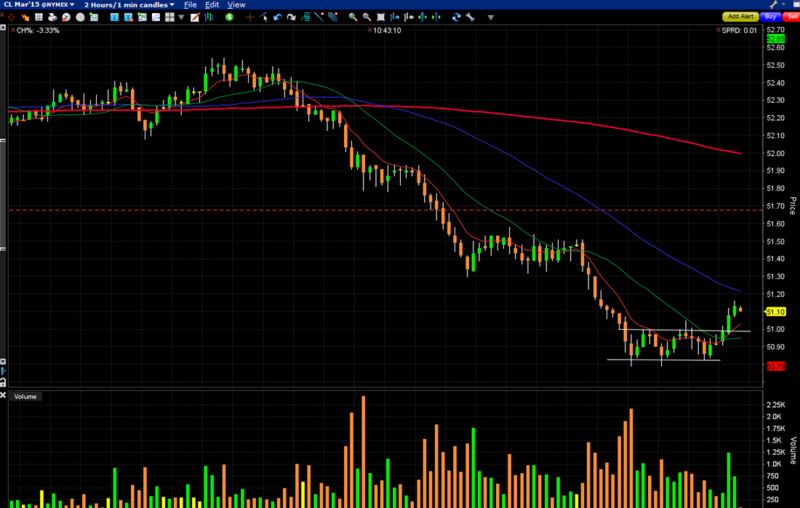 Triple Bottoms can be a stronger bullish reversal pattern after further confirmation when the next swing/pivot low that is produced is even higher. Much like a Double Bottom pattern, technical analysts will use triple bottoms to begin trying to find new buying opportunities as well as to avoid selling the asset until a new sell setup is formed.